Motorists can take a virtual drive through the new diverging diamond interchange in Santa Fe, New Mexico, before they venture out on the real thing. The New Mexico Department of Transportation used State Transportation Innovation Council Incentive funds to create a digital experience via video kiosks and a mobile app that simulates driving through the interchange, under construction at the intersection of I-25 and Cerrillos Road. STIC Incentive is a Federal Highway Administration program that helps the highway community standardize innovative practices. 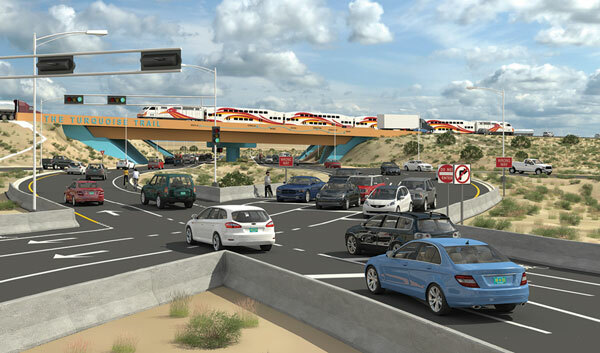 The video and app are part of the New Mexico DOT’s campaign to educate drivers on navigating the state’s first diverging diamond interchange before it opens in 2016. The agency chose the innovative design to enhance safety, smooth traffic flow and shorten delays for drivers. The kiosks were displayed at the Santa Fe Motor Vehicle Division, Santa Fe County offices and the Bureau of Land Management so drivers could learn about the project and try the app. The kiosks were also exhibited at the New Mexico Transportation Engineering Conference and the New Mexico DOT district office in Santa Fe. STIC Incentive funds helped the Ohio Department of Transportation create a Local Public Agency Days series to launch its updated local agency qualification process for administering Federal-Aid Highway Program projects. 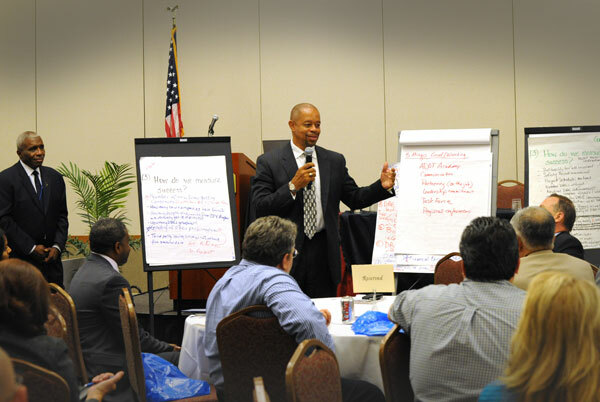 Representatives of about 550 local agencies participated in five regional sessions in 2014. Each session was customized to the needs of the local agencies in the region, highlighting presentations on project delivery innovations and time-saving techniques such as electronic bidding. The presentations complemented the Local Public Agency Days rollout of free online training on the Ohio DOT’s qualification process for local agencies. The Arizona Council on Transportation Innovation used a STIC incentive award to carry out its Innovation Exchange Campaign, part of the council’s effort to build a culture of innovation among the state’s public and private transportation partners. The council organized six panel discussions in 2014 on innovation themes recommended by stakeholders, such as accelerated bridge construction and 3D modeling. The exchanges were held in Phoenix and webcast throughout the state to encourage broad participation. The council continued the campaign in 2015 and moved it beyond Phoenix, starting with a May exchange in Prescott Valley on using innovation to streamline project development and delivery at the state and local levels. An August exchange in Tucson focused on intelligent transportation system and radio frequency identification technologies. The Pennsylvania Department of Transportation used STIC incentives to develop a compendium of best practices from various transportation agencies for installing rumble strips on pavements treated with a thin pavement overlay. The Pennsylvania DOT uses thin overlays as an option for pavement preservation projects because they can extend pavement life at a lower cost than full-depth reclamation. It installs rumble strips—grooved patterns that give drivers an audible warning they’ve strayed from the driving lane—as a cost-effective way to reduce crashes and fatalities. The best practices guide, Rumble Strips Installation on Thin Pavement Overlays, outlines a standardized process for installing three types of rumble strips—edgeline, centerline and shoulder—with three thin overlay types—hot-mix asphalt, microsurfacing and seal coat. The Michigan STIC used FHWA incentives to develop a report on a project—called Geospatial Utility Infrastructure Data Exchange, or GUIDE—to collect 3-D geospatial location data on utilities in Michigan Department of Transportation rights-of-way. Under the GUIDE project, the Michigan Utility Coordination Committee and three of its member utilities gathered geospatial information during the installation of underground utilities on seven construction projects in 2014. The GUIDE project identified best practices and areas for further refinement before a larger program rollout, according to the report. “The ability to share spatial information with all stakeholders will help reduce utility conflicts during project design, reduce utility conflicts during construction, reduce overall utility life cycle costs and enhance the safety of the general public,” the report said. Traffic congestion doesn’t stop at geographic borders, but transportation planning often does. Planning in jurisdictional silos can overlook regional solutions that yield benefits such as faster project delivery, less traffic congestion and more efficient freight movement. In the third round of Every Day Counts, the Federal Highway Administration is working with the Federal Transit Administration to encourage transportation stakeholders to think beyond traditional borders and use regional models of cooperation. These models offer a framework and process for transportation departments, metropolitan planning organizations, transit agencies and other groups to improve collaboration across agency boundaries and develop multijurisdictional transportation plans. The EDC-3 effort focuses on bringing together entities to support common goals on transportation planning topics, such as congestion management, safety, freight, commerce and livability. Not only can using regional models of cooperation improve decision making, it can save time and money through resource sharing and help agencies work together to achieve more than they can on their own. “This is about sharing best practices on techniques that can be implemented by multiple agencies to work together more effectively,” Petty said. Connecticut, one of several states that have institutionalized regional models of cooperation, coordinates planning studies through the Connecticut Department of Transportation. The agency is developing a statewide Freight Plan with input from metropolitan planning organizations. It’s also creating a travel demand model that will incorporate areas outside the state—including Massachusetts, New York and Rhode Island—and allow better coordination on future studies. The Alaska Department of Transportation is spearheading an initiative to improve coordination of transportation services among local and tribal governments, transit authorities and federal land management agencies. The agency plans to host a peer exchange to enable transportation stakeholders to discuss regional models of cooperation topics. The Mississippi Department of Transportation is preparing a Long-Range Transportation Infrastructure Plan concurrently with the state’s coastal and regional metropolitan planning organizations. The goal is to coordinate the efforts of the multiple entities to address congestion, safety and commerce. Transportation and planning organizations in the Charlotte, North Carolina, area are developing a Regional Freight Mobility Plan that will include performance measures. The plan will address traffic congestion, bottlenecks and truck and rail freight mobility. The Centralina Council of Governments is leading the effort. The Missouri Department of Transportation developed a collaboration website for metropolitan planning organizations, regional planning commissions, FHWA, the Federal Transit Administration and highway agencies in surrounding states. The website includes resources, checklists, notices of proposed rulemaking and performance management reporting examples. View the EDC Regional Models of Cooperation presentation for an overview of the regional models approach and lessons learned. View the bimonthly webinar series on regional models of cooperation in transportation planning for examples of successful collaborative planning on topics such as air quality and congestion management. Register for the safety planning webinar on December 10, 2015, from 1 to 2 p.m. ET. Read case studies from across the country on regional models of cooperation. See the Transportation Planning Capacity Building website administered by FHWA and the Federal Transit Administration for resources and training on transportation planning. The EDC-3 Regional Models of Cooperation Innovation Deployment Team offers technical assistance and training, including peer exchanges and workshops. For details, contact Jody McCullough or David Harris in the FHWA Office of Planning. The need for robust connection systems for prefabricated bridge components is driving interest in ultra-high performance concrete. This steel fiber-reinforced material improves durability and simplifies connection details, fabrication and construction when using prefabricated bridge elements to accelerate construction. 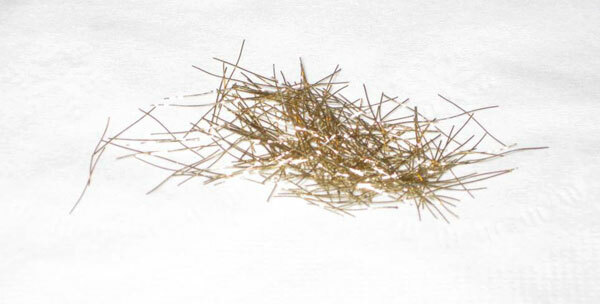 Steel fibers reinforce UHPC, which offers simple, durable connection details for prefabricated bridge elements. Accelerated construction—UHPC can provide durable and simplified details that facilitate the fabrication and construction efforts needed to connect prefabricated bridge elements. Simplified connection details—The mechanical properties of UHPC allow for the redesign of common connection details in ways that promote both ease and speed of construction. Improved long-term performance—Field casting of UHPC connections between prefabricated components results in a strong connection that can provide better long-term performance. Many of the challenges related to UHPC use have receded in recent years. “There is more familiarity with UHPC as a material, and more states are using UHPC connections with prefabricated bridge elements,” Beerman said. In addition, U.S. production of the steel fiber reinforcement commonly used in UHPC began in 2014. That’s expected to open the door for more highway agencies that are interested in using prefabricated bridge components with UHPC, but were hindered in the past by the Buy America Act. 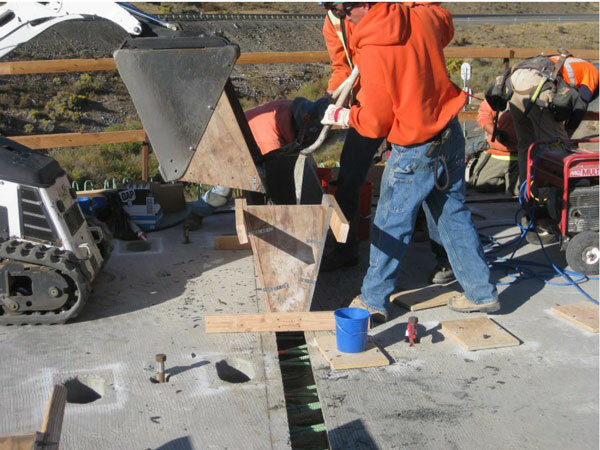 Crews place UHPC in the transverse joints on Oregon’s Burnt River Bridge project. Using precast deck panels and UHPC closures on the Burnt River Bridge is expected to save maintenance and rehabilitation costs during the 75-year life of the bridge. The Oregon Department of Transportation used the accelerated bridge construction technique of combining prefabricated elements with UHPC connections on its 2012 project to replace the Burnt River Bridge near Huntington. The agency chose the innovations to enhance construction quality, improve work zone safety and reduce construction time and traffic congestion on the project, which received an FHWA Highways for LIFE demonstration project grant. Crews installed deck panels—fabricated off-site—on precast concrete girders. They used UHPC for the shear pockets and deck joints, which eliminated the need for post-tensioning the deck panels. Because of the project’s success, the Oregon DOT plans to use ABC techniques of precast bridge decks and UHPC on future projects. An FHWA report explains project details. Other highway agencies using UHPC connections on bridge projects include the Delaware Department of Transportation, which poured UHPC in joints between prestressed box beams on its first UHPC project, a bridge over the Pocomoke River. The Iowa Department of Transportation has used UHPC connections on several projects, including a Highways for LIFE project to replace a bridge on U.S. 6 over Keg Creek. It’s applying the technology on a bridge replacement on Iowa 92 over Little Silver Creek, an Accelerated Innovation Deployment Demonstration project. The New York State Department of Transportation collaborated with industry and FHWA to develop and test field-cast UHPC joints for precast concrete bridge decks. The department accelerated construction on several projects by field casting UHPC joints for precast deck and superstructure systems. The Pennsylvania Department of Transportation incorporated UHPC into its publications and standards, and it is now considered a tool in the agency toolbox. Pennsylvania DOT districts and local agencies can use UHPC on projects on their own, without the need for guidance from the Central Office. Watch the UHPC for Precast Bridge Decks and Connections webinar for an introduction to the Design Guide for Precast UHPC Waffle Deck Panel System, Including Connections and details on bridge projects in New York and Iowa. For information and technical assistance on using UHPC connections, contact Jamal Elkaissi and Mark Leonard, structural engineers at the FHWA Resource Center. The Federal Highway Administration would like your input on the next group of innovative technologies and processes to deploy through the Every Day Counts initiative. Check the EDC website in December for information on submitting ideas for innovations you think should be included in EDC’s fourth round. The open period for offering suggestions will run through January 2016. Every two years, FHWA works with transportation departments, local governments, industry groups and other stakeholders to identify a new set of innovative technologies and practices that merit widespread deployment through EDC. FHWA will collaborate with stakeholders to implement the EDC-4 innovations in 2017 and 2018. For EDC-4, FHWA will seek suggestions on market-ready innovations that have transformative potential and national benefits. The focus is on innovations that accelerate project delivery, enhance the safety and durability of roads and bridges, cut traffic congestion and improve environmental sustainability. The innovations cannot be proprietary and should be proven to work, mainly through successful demonstration projects. For information, contact Scott Wolf, senior advisor in the FHWA Center for Accelerating Innovation. 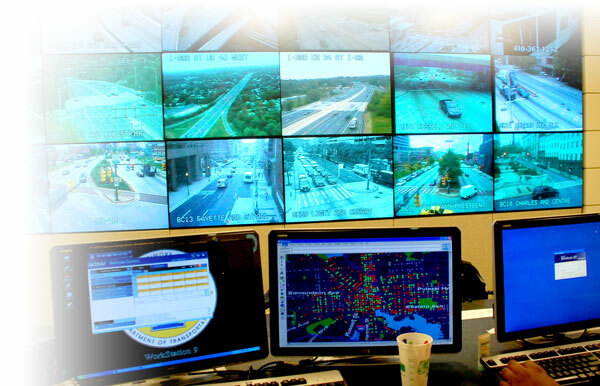 Adaptive signal control continuously updates signal timing to keep traffic moving smoothly. Poorly timed traffic signals can cause delays that cost travelers and businesses time and money. 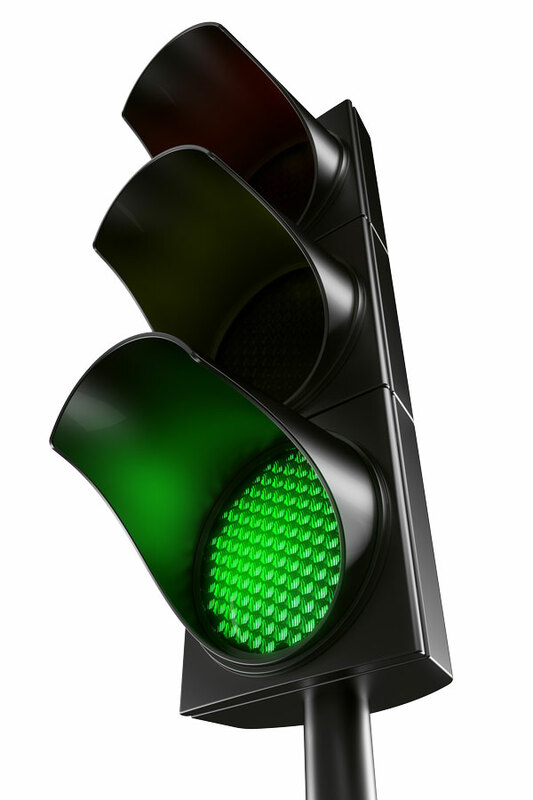 Adaptive signal control technology adjusts the timing of green lights to accommodate changing traffic patterns, ease congestion and reduce fuel consumption. The Federal Highway Administration promoted ASCT during the first round of Every Day Counts in 2011 and 2012, sparking interest in the technology that continues to grow. After ASCT was introduced in the United States in 1990, many technology demonstrations and field tests documented its benefits. But 20 years later—when ASCT was named an EDC-1 innovation—ASCT was active on less than 1 percent of the nation’s traffic signals. By the end of EDC-1 in 2012, 44 agencies were in various stages of implementing ASCT. 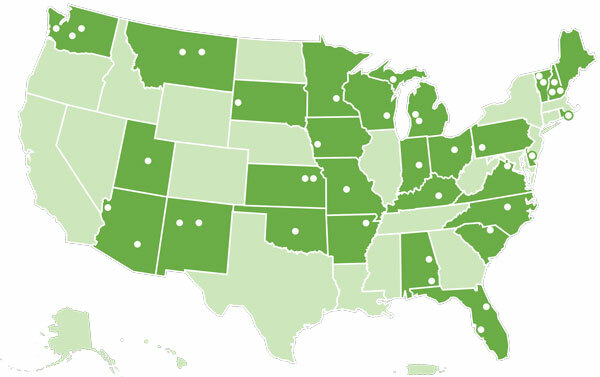 Today, more than 100 agencies across the country use ASCT. Agencies in Florida, Pennsylvania and Rhode Island are using Accelerated Innovation Deployment Demonstration awards for ASCT projects. “The key to accelerating the implementation of ASCT during the EDC initiative was actively promoting the benefits of the technology in the context of a systematic process to align operational objectives and needs with system requirements,” said Eddie Curtis, traffic management specialist at FHWA’s Resource Center. FHWA’s Model Systems Engineering Documents for Adaptive Signal Control Technology proved to be an effective resource for addressing barriers to ASCT deployment as well as uncertainty about benefits and costs, Curtis said. The Colorado Department of Transportation and the city of Greeley partnered to install an ASCT system on Greeley’s 10th Street corridor. The goal of the 2012 project was to improve signal timing and travel times along the corridor, also known as U.S. 34 Business. The result was travel time decreases of 9 to 11 percent through each light in the corridor and a 13 percent increase in average travel speed. Motorists save $3,789 a day in reduced delay and fuel consumption, an annual savings of $1.3 million. A benefit-cost analysis shows that the system paid for itself in about eight months. The Colorado DOT, city of Greeley and road users will save more than $9.2 million over the first 20 years the system is in operation. The Virginia Department of Transportation launched a pilot project in 2011 to install ASCT on 13 corridors around the state. The ASCT system selected uses enhanced detection along a corridor to adjust signal timing to meet observed demand in real time. ASCT reduced total intersection crashes by 17 percent. Safety effects tend to be more pronounced at sites with mainline average daily traffic of more than 30,000 vehicles, which suggests that ASCT has the largest safety effect at sites that are congested. ASCT generally improves mainline operations if the corridor is not over capacity, does not have geometric characteristics that impair traffic flow or does not already operate at a good level of service. Side street delays generally increase when ASCT is deployed to improve mainline performance, although there is usually a net reduction in overall corridor delay. The Los Angeles Department of Transportation has the largest ASCT system in the nation, said Curtis. The city synchronizes all of its traffic signals to improve traffic flow, while the adaptive part of the system automatically changes timing in response to travel volumes and patterns. ASCT reduced travel time by 12.7 percent, average stops by 31 percent and average delays by 21.4 percent. Improvements in delay were more significant during the evening peak hours than at other times, but travel time and average stops were improved for all time periods. To learn more about ASCT, contact Eddie Curtis. The Federal Highway Administration’s Accelerated Innovation Deployment Demonstration program continues to award grants as incentives for transportation agencies to use new technologies and practices to save time, money and lives. The awards will be used to deploy innovations for road projects in Arizona, Delaware, Florida, Michigan, Minnesota, Rhode Island and the Pueblo of Acoma. “This country’s transportation needs continue to grow, and we need to adapt our infrastructure accordingly by accelerating the use of new technologies and approaches,” said FHWA Administrator Gregory Nadeau. Since its launch in February 2014, the AID Demonstration program has provided nearly $34 million for 45 awards to help federal, state, local and tribal agencies speed up their use of innovative traffic, safety and construction practices. Among recent recipients of AID Demonstration awards are the Arizona Department of Transportation and Mohave County, which will design a geosynthetic reinforced soil-integrated bridge system project on Oatman Highway spanning the Sacramento Wash to provide a low-tech, low-cost solution to flooding issues. The Delaware Department of Transportation will build a diverging diamond interchange at Delaware Routes 1 and 72 near Bear. The state chose the innovative design, which can be built more quickly and at lower cost than other interchange types, to improve traffic operations and safety in the area. The diverging diamond interchange is one of the innovative intersection and interchange geometrics promoted through FHWA’s Every Day Counts initiative. The Florida Department of Transportation and Manatee County will use an AID Demonstration award to install adaptive signal control technology at 20 intersections on a 9-mile stretch of State Road 70. This emerging strategic intermodal system highway corridor is also an evacuation route from the county’s barrier islands. The Michigan Department of Transportation will build a diverging diamond interchange at I-96 and Cascade Road near Grand Rapids. The project will also use FHWA Congestion Mitigation and Air Quality Improvement funding because it will reduce traffic congestion and improve operational capacity. The Minnesota Department of Transportation and city of St. James will use AID Demonstration funds to build the state’s first two interconnected mini-roundabouts on Minnesota State Highway 4. The mini-roundabouts, at the intersections of 1st Avenue South with Armstrong Boulevard and 1st Avenue South with 7th Street South, are another example of intersection and interchange geometrics promoted under Every Day Counts to improve safety and mobility. The Rhode Island Department of Transportation will use an AID Demonstration award to deploy the construction manager/general contractor project delivery method and early contractor involvement technique when it designs and replaces the Park Avenue Bridge on Route 12 in Cranston. The agency anticipates that the innovative processes will accelerate project delivery while mitigating risks. An AID Demonstration grant will enable the Pueblo of Acoma tribal government in New Mexico to use the construction manager/general contractor project delivery method to complete several projects, including road construction, earthwork, retaining walls, accelerated bridge construction, interchange construction and rock excavation. The AID Demonstration program provides incentives of up to $1 million for projects to use proven innovations for any aspect of highway transportation, including planning, financing, environment, design, construction, materials, pavements, structures and operations. For information, contact Ewa Flom, program coordinator in the FHWA Center for Accelerating Innovation. The Fish Creek Public Infrastructure Repair project is the first to use Colorado’s programmatic environmental assessment for post-disaster repair, which provides a streamlined assessment approach using a checklist. The Federal Highway Administration and Federal Emergency Management Agency are collaborating on the 1.7-mile project, which includes road and shoulder work and repair of public access roads and a multiuse trail. FHWA and FEMA developed the programmatic tool in response to flooding that caused damage along the state’s Front Range. 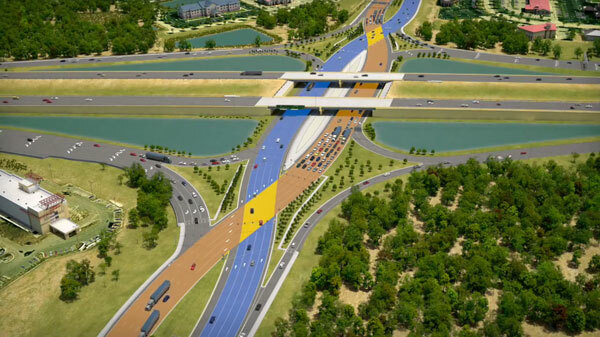 Video: See overview of Florida’s first diverging diamond interchange. The Florida Department of Transportation broke ground in September on its first and the nation’s largest diverging diamond interchange. The interchange, at I-75 and University Parkway in Sarasota, will help ease congestion and reduce crashes on one of the area’s busiest roads. The two-year project includes widening of University Parkway and new auxiliary lanes, bridges, lighting, traffic signals, noise barrier walls, sidewalks, bike lanes and pedestrian walkways. The District Department of Transportation announced the early opening of the 16th Street Bridge over Military Road in Washington, D.C. The replacement of the 57-year-old rigid-frame bridge was completed using ultra-high performance concrete connections and accelerated bridge construction technologies to reduce the impact of the project on road users and residents. As a result, the project was completed six months ahead of schedule. The Federal Lands Highway Coordinated Technology Implementation Program funds innovative projects that help federal land management agencies and tribes boost efficiency, enhance the environment, reduce maintenance and increase road safety on their road systems. One 2015 project uses carbon fiber-reinforced polymer to repair the Opekiska Whiteday Creek Bridge in West Virginia. The project goal is to refine the repair process to make it a widespread solution for concrete bridges in poor condition.